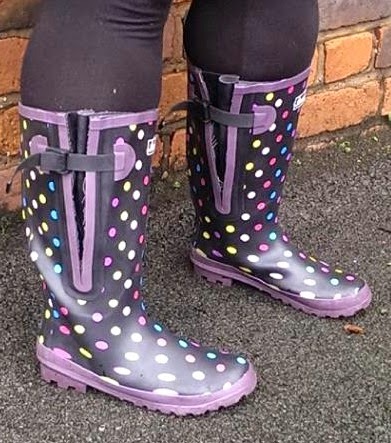 If you remember back in my post about Boomtown Fair Festival I recalled how my boyfriend had to save my day by getting me some wellies to combat the crazy festival weather. 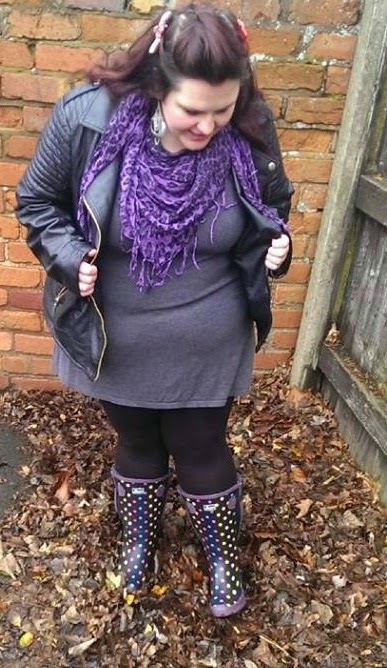 For all those plus sized ladies out there you all know what a nightmare it can be to get boots to fit wide calves let alone random wellies in a limited environment. Thank fully my boo is really sweet and when the wellies didn't fit he rescued me yet again by getting some scissors and adapting them to be wearable and they really made the festival mudslides a breeze. Although Vogue will not be banging down my door for how amazing they looked. Enough of me gushing about his awesomeness the point is it can be a struggle and a bit embarrassing trying to find wellies sometimes. Until I was asked to try a pair of wide calved rain boots and was spoiled for choice on which to choose. Always a sucker for purple and polka dots I went with this beautiful pair below. There were so many designs to choose from over at http://cuterainboots.net/wide-calf-rain-boots/ gp check them out. I actually managed to resist leopard print for once! There are more traditional wellies or short boots in a range of colours and cute patterns. I am a size 6 in shoes but for bots I usually size up to a 7 so I did with these as I like to wear thick socks and trousers with my rain boots. I took them out for a walk in the fallen leaves that come with this rainy autumn weather. They are really light weight unlike most wellies and really comfortable. They felt like wearing trainers when I usually wear wellington boots my feet hurt after a bit but these kept my feet comfy, dry and mud free. All while looking mega cute. This pair actually can fit up to a 50cm calf! They are really easy to adjust with extra material and a simple clasp. They can be adjusted from inside and outer leg, Which is great you can choose to adjust them from just one side or both and means you can get a more comfortable adjustment. At £49.99 they may seem a little pricey but they really are worth paying a little extra for as they are amazing quality which will last for years to come. If you love jumping in puddles, squelching through mud and crazy festivals like me then you need some pretty and comfy rain boots in your life. I will be enjoying these next time the rain comes pouring down. Do you like jumping in puddles and wearing wellies? My kids love puddle jumping so I have to do it with them. 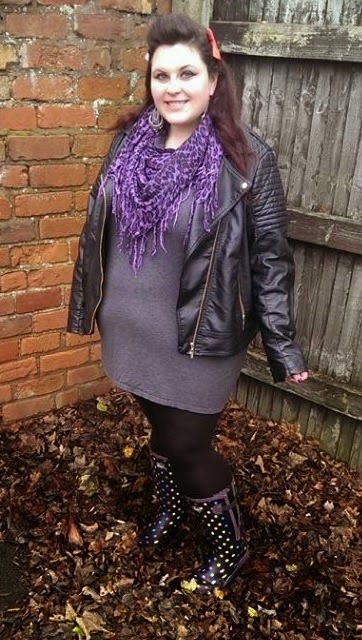 It would be fab to look as stylish as you do in those boots whilst doing it. Such cute wellies! I have wide calves as well, so I know how hard it can be to find a nice pair. I really need to get a pair of wellies this season as well. I have no idea how I didn't do that already considering the weather here in England. 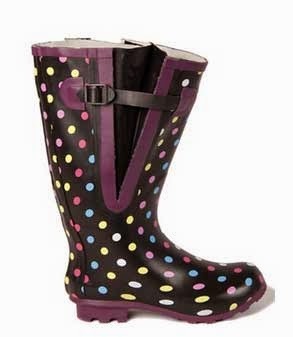 Lovely review, I have a pair of Jileon wellies too but in red with white spots and they're so comfortable. Those are the cutest rain boots! !